I have had my Cricut for just over a year and I love how quick and easy it is to make projects on it. 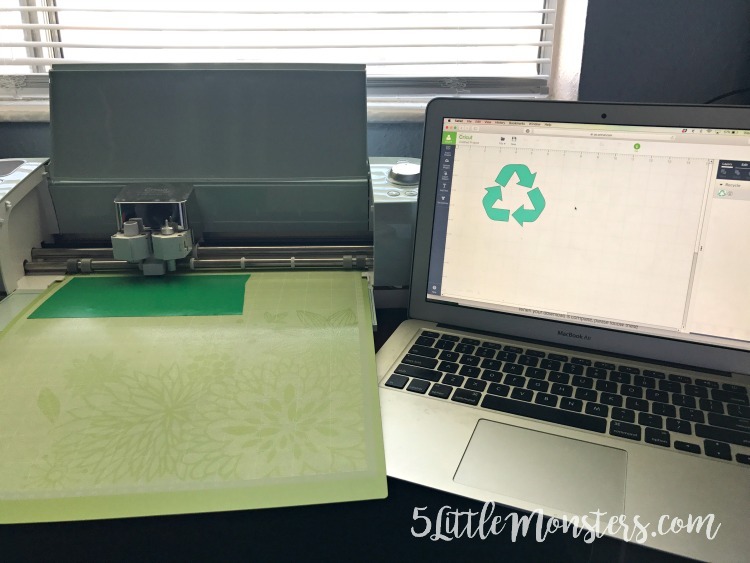 For anyone who may not know what a Cricut is, it is a cutting machine that can cut several different things, vinyl, cardstock, iron on, and so many more. Cricut is the brand, there are other brands with similar machines. 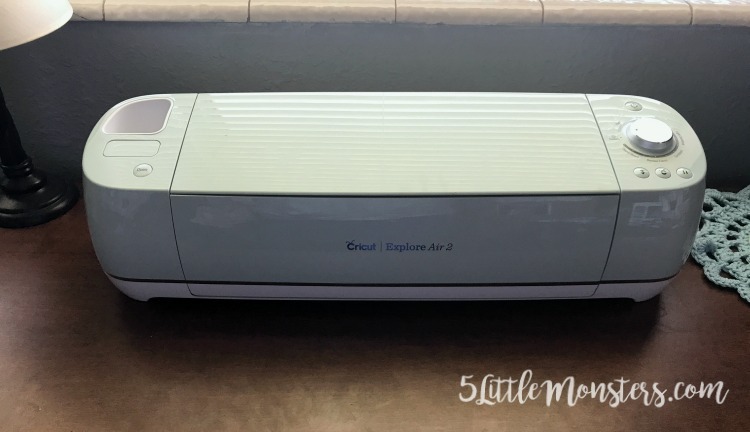 The actual machine that I currently have is the Cricut Explore Air 2. I first had an Explore Air before getting the 2 and they both do pretty much the same things, the 2 just has a couple new features. You can either come up with your own designs or use premade designs in Cricut Design Space on your computer or mobile device. My favorite things to cut are vinyl and iron on decals, they are super quick and easy and you can cut out pretty much anything. My husband and I share an office and we needed a new garbage can in there so while we were at Ikea picking up some other things that we needed we stopped to look at their garbage cans. We ended up finding some and we picked up two, one to use for garbage and one for recycling. We got two different colors, one gray and one white, so that we could tell them apart but I still kept forgetting which one was which. 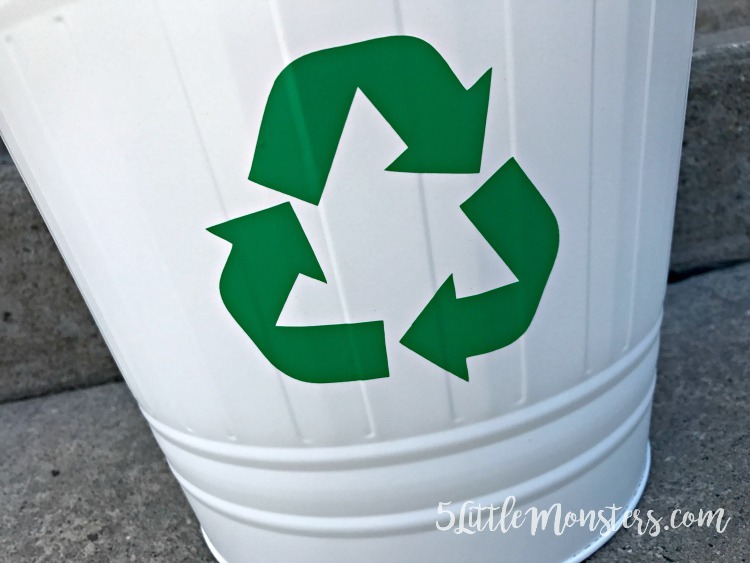 I decided to make a simple little recycling decal to stick on one so that I could more easily tell them apart (and it is easier for the kids too). 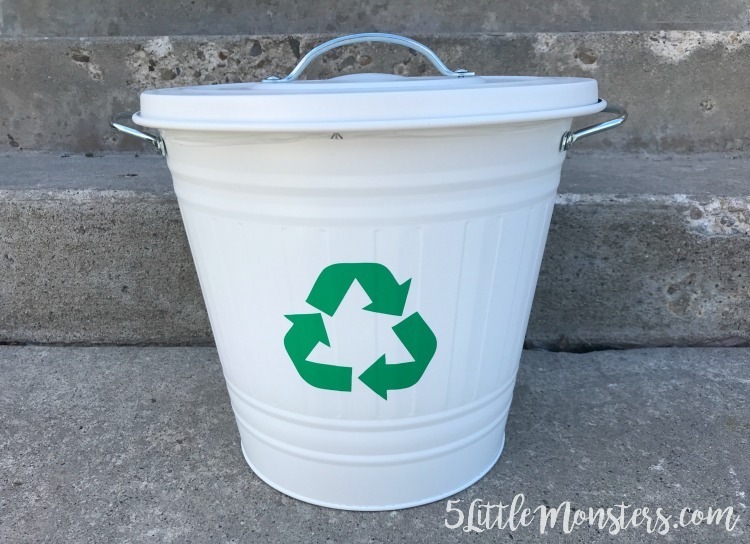 I just found a recycling symbol in Cricut Access and added it to my project. The one I chose had a double layer with the top layer having cut out sections on the arrows. I just wanted a single layer so I right-clicked on the image to bring up a menu, then I clicked on ungroup. This separated the 2 layers so that I could delete the layer that I didn't want to use and keep only the layer that I wanted. After that all I needed to do was size it to the size that I wanted, then cut it out. I used a scrap of green adhesive vinyl that had in my stash. Once your vinyl decal is cut you need to weed it (remove the excess vinyl), then use transfer tape to stick it onto the surface where you want it. Rub it on and peel off the transfer tape. It is really easy to do and you can make pretty much anything. 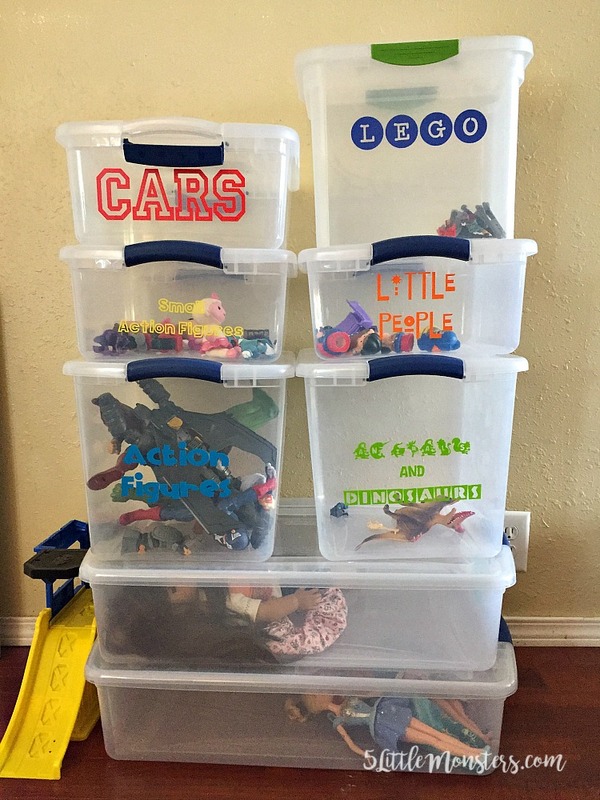 I used this same type of idea to label my kids toy buckets. We bought some plastic buckets and I just typed words in fun fonts and cut them out of colorful vinyl. It was a fun and easy way to label the buckets so that the toys could be put away where they belong. Making simple vinyl labels like these are one of the things that I use my Cricut for more than anything. That and iron on decals for t-shirts and other fabric items. It is so easy to cut out pretty much any shape or word or image you can imagine. Great idea. I need to get organized.